My Everyday Quick, Healthy & Delicious Breakfast & Its Benefits – Beautiful, Creative, Inspiring . . . Life. Hi guys – how’s it going? Good? Fantastic, I’m glad – now, stop hogging the spotlight and let me get on with the post. If you’ve been following me for a long old time, you may remember my recipe post for 2 Ingredient Healthy Pancakes. And, if you don’t, let me refresh your memory. You may be shocked, horrified and disappointed to learn that I . . . God, this is hard . . . I am a healthy eater. Well, somewhat. I try to eat healthily; it doesn’t always happen, but overall I’d say I do pretty okay. When I have the time to prepare my breakfasts (and the ingredients, that’s also a big factor), I do like to start my day with something vitamin-packed and nourishing. And yummy, because I’m not sacrificing my tastebuds for my health; knowing my luck I’d get hit by a car and all that healthy eating would be for nothing anyway. God, if you’re listening, that is the exact opposite of what I want to happen. Don’t let that happen. Please. Prayer done, Mia out. In today’s post, I am bringing you my current go-to healthy breakfast. Unlike those admittedly delicious pancakes, this breakfast is quick and simple – with real minimal clean up and preparation. It’s the perfect pre-work meal and it keeps you nice and full until lunchtime. So what is this delicious breakfast? Well, in all honesty, it’s actually quite basic: oats, yogurt, fruit and seeds or nuts. If you’re feeling fancy, maybe some dark chocolate chunks. That’s it. However, this combination is surprisingly delicious – and it has a whole host of benefits. My friends, I am going to block quote this next bit because it literally changed my life – and my bank account – for the better. 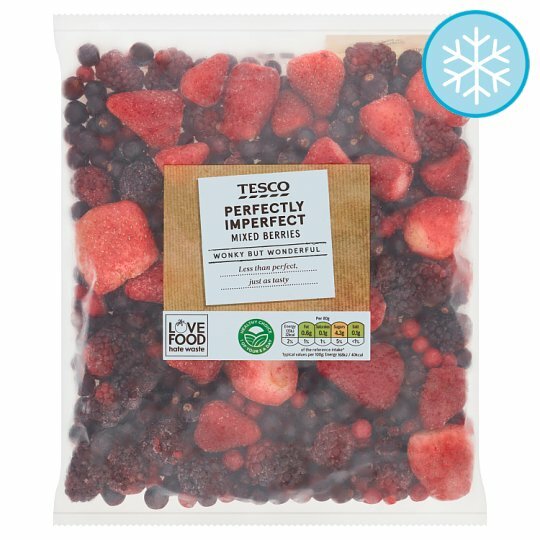 Frozen berries are ridiculously cheap – you can buy 1kg of frozen berries for £3.25. A kilogram. You pay like £3.50 for 200g of fresh berries – and they’re not even mixed. Or 3 bags of 500g of frozen fruit for £5. I’m sorry, but how cost-efficient is this? Not to mention, it prevents you from having fruit going off and getting wasted. Because you need something to make the oats edible. Also, pro-biotics – but we’ll talk about those a little bit later. My yogurt of choice is Onken Blueberry flavour. Alright beauties, now that you know how simple it is to make this little breakfast bowl . . . let’s talk about why you should. I’ll be honest – before researching this post, I thought the only real benefit that oats had was fibre and . . . well, just giving the bowl some texture and extra taste. To my very pleasant surprise, I was super wrong and oats are actually a very healthy food all on their own! Okay, my beautiful people, I hope I convinced you to give this breakfast bowl a try! It’s honestly delicious, super easy to make and packed with so many benefits your body just won’t know how to process all the goodness! By the way, if you guys are into your healthy eating, don’t forget to follow my Healthy Food Pinterest board! What do you think of this breakfast idea? Have you ever tried this bowl? What’s your go to breakfast meal? Let me know your thoughts down below! Omg I love the nut bowl!It looks SO GOOD???? Oh my God this looks delicious!! 😍 I find breakfast to be the most difficult time of the day because I never know what to put together and then I worry about days where I’m in a rush and need stuff prepared beforehand so this is brilliant (in the end I usually go with tea and toast which gets very boring 😂). Plus we always have frozen fruit in the freezer because I just assume it only goes towards smoothies so I seem to have the ingredients down! I love that you shared the health benefits of it all too! ❤ (Sorry for the long comment 😂). That looks like a good way to start the day! Do you cook the oats? I might seem naive for asking that, but you didn’t say, and I’m curious. I’m going to try some soon. oooh banana pancakes they look so easy to make that’s mad! Omg omg how do you make this look so yummy!!! I just found out how heap frozen berries are…and how good😄 I always thought they’d be less sweet for some reason. I always have frozen fruit in the house. Great for just snacking on as well as smoothies! Wow omg this looks so beautiful 😍😍😍 This must taste so good aswell. Great post! Wow, I can’t get over how good you made this breakfast look, points for presentation haha! Again, you tackle the most casual posts with such unique additions. The incorporation of benefits was thorough, and It’s unique! I don’t see many recipes that go out of their way to enlighten the reader of benefits. Great job! !